1/43rd scale There are 5 products. 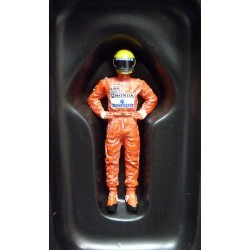 TSM scale 1/43rd : Ayrton Senna / McLaren Type I figurine. 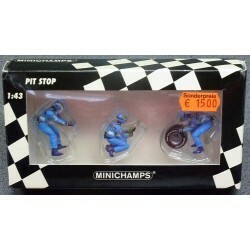 MINICHAMPS scale 1/43rd : Benetton Tyre Change Set with 3 mecanics. MINICHAMPS scale 1/43rd : 1997 Gerhard BERGER / Benetton Figurine. 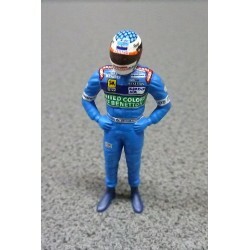 MINICHAMPS scale 1/43rd : 1997 Jean Alesi / Benetton figurine. 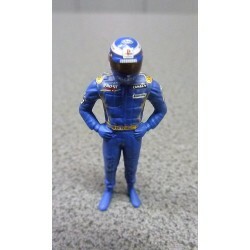 MINICHAMPS scale 1/43rd : 1997 Olivier Panis / Prost GP figurine.